The Carteret to Jersey ferry connects France to the Channel Islands and is operated by Manche Iles Express. As well as comparing prices and times for Carteret to Jersey, we will also show you results for Granville to Jersey St Helier, Granville to Jersey and St Malo to Jersey to help you get from France to the Channel Islands at the best time, for the best price. The average price found by our customers for Carteret to Jersey recently is £117. Book a Carteret to Jersey ferry today with AFerry. Just use the form above and choose the route that you want. If nothing appears automatically, start typing Carteret. You can also type the country or even the name of the ferry company you are interested in. When you have the route that you want, choose single or return and all the other options you want. If there is more than one ferry company operating on the Carteret Jersey route we will show you all the ferry companies, to make sure you get our best price. 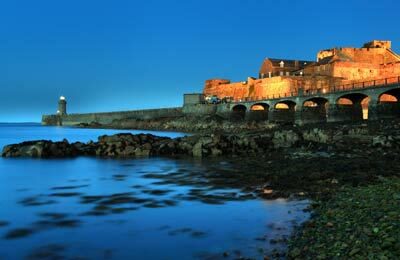 We'll also show you any routes similar to Carteret to Jersey so you have the complete picture when making your booking. And of course you'll also see a range of times just in case it's a bit cheaper earlier or later than your preferred booking time. 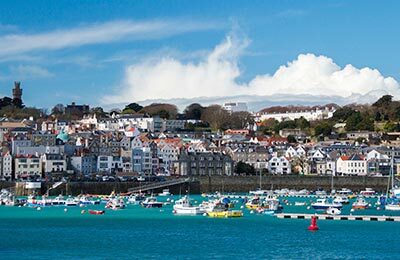 Once you've chosen your perfect sailing and have made your booking we'll email you your booking confirmation for your Carteret to Jersey ferry. The majority of tickets have instant confirmation. Below you can see the ferry company or companies that sail on the Carteret to Jersey route and the journey times. You might also see some recent prices our customers have found. The best way to find a cheap Carteret to Jersey ferry though is to use the form above today to see all of our possible choices. With AFerry we always give you our best prices for ferries from Carteret to Jersey. No matter which page you book from we always include all our special offers. And there is no need to look for a discount code. If we have an offer available, your ferry price will include the reduction or offer. There's no need to look at other websites. If you're not sure if the Carteret to Jersey route is right for you or you can't decide between ferry companies, if there is more than one, you might also find it useful to read any reviews we have available. We ask all our customers to send us reviews for Carteret to Jersey ferries. Remember though, that the earlier you book, the cheaper prices normally are. So don't spend too long deciding! Carteret to Jersey is a popular route, so we advise you to book as soon as possible. Barneville-Carteret is a quiet seaside town which has grown over the years to become a beautiful resort with a number of hotels and restaurants to choose from. Like the other Channel Islands, Jersey is far closer to Normandy - France, than it is to England. The Channel Islands are officially British although in many respects they have their own sovereignty. Jersey combines stunning scenery and a rich heritage with a wide range of tourist attractions. As a result, the island has been a popular tourist destination and has mainly visitors coming from France and Britain. The beaches on Jersey cater for all types from St. Brelade's Bay with it's 'touristy' appeal to Anne Port, Beauport, and Petit Port offering a more secluded and quiet location. Jersey is sometimes the hottest place in the UK and offers much for the holidaymaker in it's rich mix of indigenous, British and French culture.VAT doesn't exist in Jersey, so the shopping in Jersey is duty free. Excellent trip, efficient service with friendly staff. I would recommend this ferry service wholeheartedly .